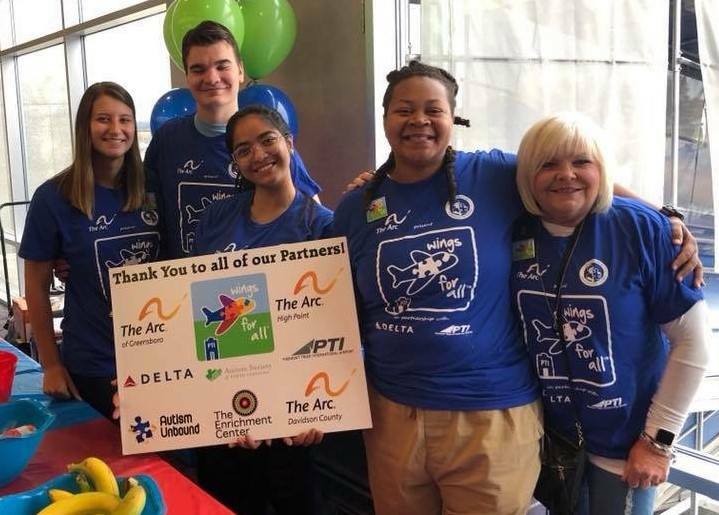 On Oct. 27, 2018, Piedmont Triad International Airport (PTI) was proud to host the fifth annual Wings for All® event in the terminal. Wings for All is designed for individuals with autism spectrum disorders, intellectual disabilities and developmental disabilities and their families. Participants are able to go through a practice run of navigating through the airport terminal, checking in at the airline counter, going through the security checkpoint, waiting at the gate, and even boarding an airplane and taxiing! The purpose of this event is to alleviate the stress that may be experienced by families as they travel. This event is held in partnership with Delta Air Lines, PTI, the Transportation Security Administration (TSA), The Arc of Greensboro, The Arc of High Point, The Arc of Davidson County, The Enrichment Center (an affiliated chapter of The Arc), the Autism Society of North Carolina and Autism Unbound. HanesBrands; Autism Unbound; Aviation Risk Consulting, Inc.; McDonald’s and Sheetz all provided charitable donations this year to make Wings for All possible. This year, 139 participants attended this event. The families were able to meet, chat and take pictures with the Delta Air Lines airport staff and flight crew. While this event has been designed to assist families that have children with autism, intellectual disabilities or developmental disabilities, the benefits of this event do not stop there. 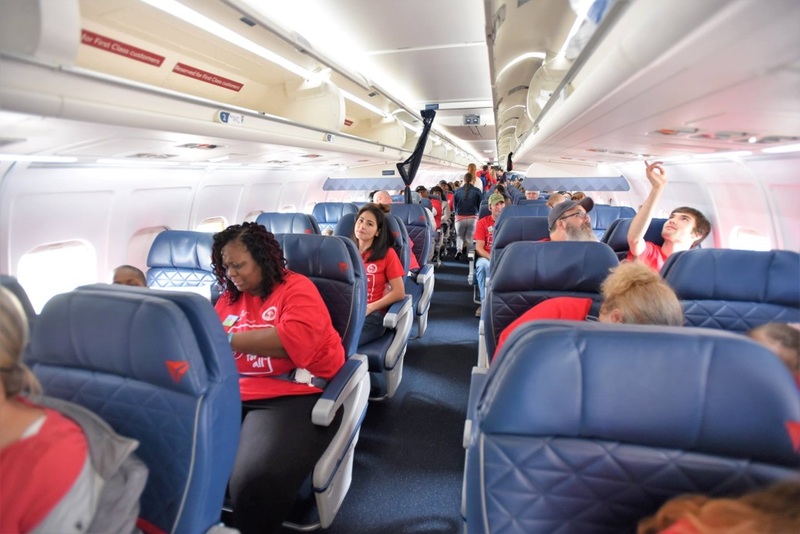 Wings for All also helps airline and TSA employees gain experience in working with passengers who may have different challenges as they go through the process of air travel. To learn more about Wings for All, click here.